At some point in our lives, we all will need the help of another. At some point, we all can be a help to someone in need. Children can learn early on that helping others is the responsible and right thing to do. They can learn that when they see someone in need of help, they should fill in if they are able to. They can learn that helping someone will also benefit them. They can benefit by paying it forward because there may come a day when someone has to help them. Learning how to help makes you feel good as a person. Helping someone even in the smallest way has its rewards. Even though the child may not be able to fully express how it makes them feel good, they will experience it just like anyone else. They will experience how it makes you feel like a better person to know that you did someone else some good with your assistance. Children are never too young to experience the rewards of helping others, and they are never too young to learn that we all have to be here for each other. They will learn this concept with these helping others preschool activities. 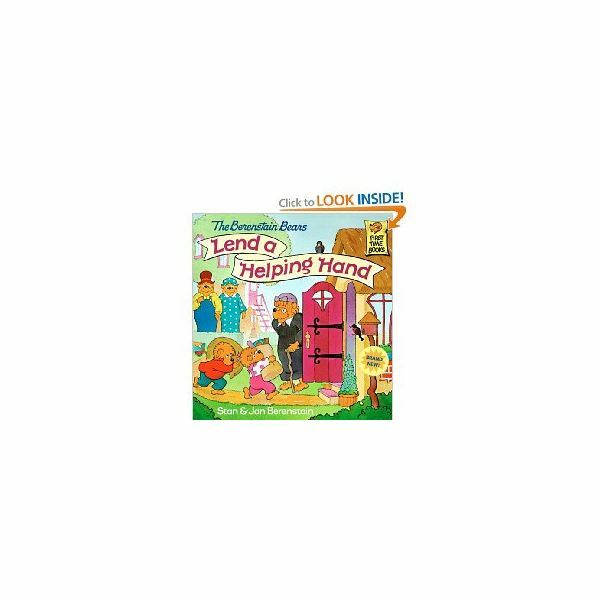 The Berenstain Bears Lend a Helping Hand is a great selection for your class. This book was written by Stan and Jan Berenstain. They created a wonderful depiction on the importance of helping others along with illustrating the rewards received by the children for their help. The book focuses around the children assisting a widow by helping her to clean her attic. They helped her to clean her house, and they learned a valuable lesson at the same time. Your class will enjoy helping others preschool activities along with this book that can be order on Amazon.com or found at your local library. Book Discussion – Once you have read the book, have a circle time discussion. Ask the children about the main characters and if they would have done things the same way. Ask the children if they have helped someone before. Ask the children to tell a little about whom they helped and it made them feel. Helping Others Game – You will need a basket, blocks, or other items. Make sure that you have a lot of items for the child touse to fill up in the basket in a short amount of time. Ask one of the children to fill the basket by themselves in a hurry. Once you see the child needs help, ask another child to go over to assist the other in filling the basket. Ask the first child if they felt like they needed the other child’s help. Ask the second child how it felt to help the other child fill the basket and do this until all the students have been helped or have played the role of the helper. Artwork – Ask each child to make a drawing of them helping another. Write on a strip of paper how they helped someone in one sentence with their name and glue it to the bottom of the drawing. Ask each child to tell their story to the class. I do not think there is one person alive that has not had help from someone else in their lives. Children must realize that it is okay to help and be helped too.